Bedtime at the Nuthouse is a must for any family with little ones. So funny and so cute! the illustrations are great throughout the whole book and the rhyming is perfect for helping children make that first read. This book is great. Humorous, clever and the perfect balance between reading and interacting with music. 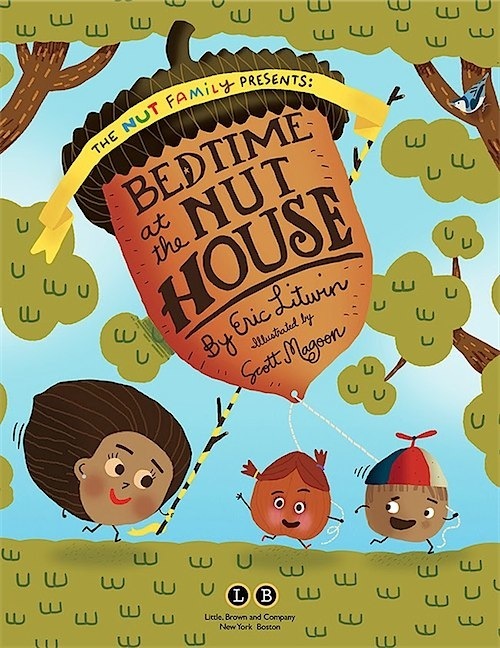 The story is really catchy, with the ‘Nut House’ being just that – a house of nuts. Hazel and Wally (get it?!) are refusing to go to bed, but Mama nut insists it’s bedtime. The little nuts sing the song ‘We’re nuts, we’re nuts!’ over and over throughout the story, and you also get a free song and lullaby if you head over to the website, which just brings the whole thing to life! You can find this super cool book over at Amazon (UK) or Amazon (US). P.s – Be prepared to giggle through your bedtime story with this one, and play spot it with the kids during the day – the illustrations are stellar! Next Post No more tripping over untied shoe laces with SHOEPS, perfect for those Autumn / Winter boots!